At Momentum Porsche, our dealership is located in Houston, TX and takes pride in providing excellent service in the community. As one of the top luxury automakers in the auto industry, Porsche continues to be successful due to its sleek and athletic models that feature advanced technology. Since 1931, Porsche continues to release upscale SUVs, sedans, and sports cars as their top models evolve to remain competitive. Both leasing and financing options are available at our dealership to ensure that our customers can select the right option for their needs. Leasing is often the ideal choice for those who don't want to put a lot of money down and spend less on maintenance costs. Leasing also makes it possible to have a lower payment each month, which can allow you to afford a luxury model that may be out of your price range if you were to finance it. Once the lease ends, you can have the freedom to select a different model to drive. You can also avoid the high cost of taxes when leasing a vehicle because you aren't purchasing it. Financing is a secondary option that allows you to own the vehicle outright and have the freedom to make changes to the interior or exterior with modifications that are performed. Financing a car makes it possible to build equity and earn a profit once you sell it, which can be used towards purchasing your next vehicle. You'll also have the option of selling the car when you want instead of being locked into a contract. Those who finance a new or pre-owned vehicle also have the freedom of driving it as frequently as they want without worrying about the mileage. We offer different financing options to accommodate our customers and are happy to assist you with the process once you find a model that you want to drive. Our team can explain the terms to ensure you select the right option for your situation. Our dealership is known for having an extensive inventory of new Porsche models at our location, but we also offer pre-owned vehicles to our customers in Houston, TX. Not only do we have used Porsche vehicles that are available, but other makes of cars are included in our large inventory. You can enjoy having a wide selection of cars to choose from, whether you're looking for a pickup truck or a sports car. All of the used vehicles that we sell are certified and are thoroughly inspected to ensure that they'll prove to be reliable. You can have peace of mind knowing that we stand behind the quality of each car that we sell. 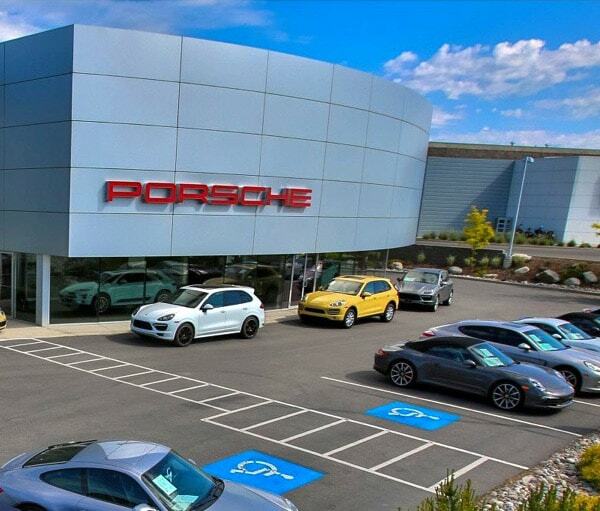 Our service department provides quality service and labor on all Porsche models to ensure that you can continue to drive a car that is reliable. Our team members are certified and trained professionals who are experts at inspecting and repairing Porsche cars to ensure that the vehicle continues to operate well on the road. All of the parts that we use and supply are high-quality to ensure that potential issues are avoided and that the repairs last long-term. We welcome you to make an appointment for service or repairs on our website for added convenience with maintaining your vehicle throughout the year. Feel free to contact us today if you have questions or inquiries. You can also fill out and submit a contact form on our website to obtain additional information and the assistance of one of our team when you're looking to purchase a new or pre-owned car.